Stir dressing ingredients together in a bowl. 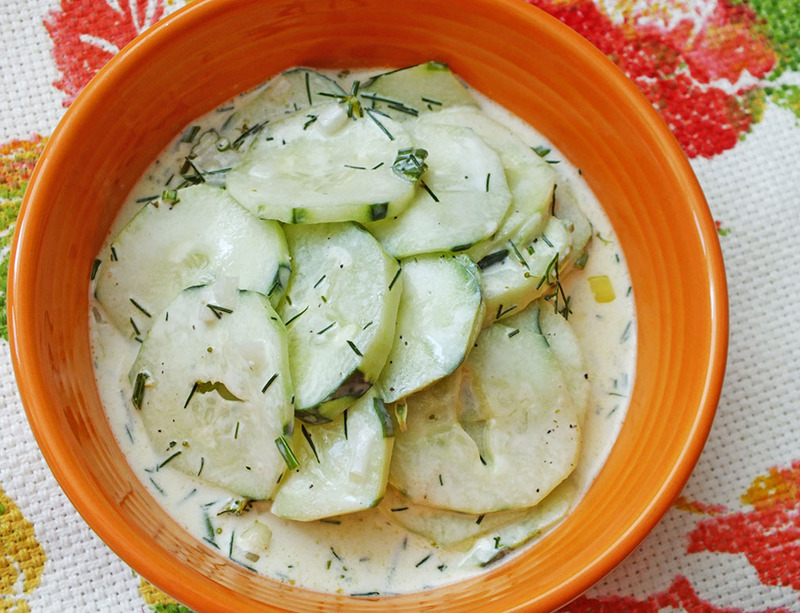 Add cucumbers and toss to coat. Garnish with more dill if desired.